Ok, let’s get the whinge out of the way first; I really wish smaller venues would do something about their stage lighting. On a night when it looked like you had to have a pass if you weren’t taking pictures, the lighting made it almost impossible to get a decent photo. Rant over. The good news is that the support for the evening, Shady Blue Orphans were very good, knocking out a great set of mainly seventies and eighties rock covers including “Hold the Line”, “Jump” (Van Halen, not the Pointer Sisters) and the classic Thin Lizzy ballad, “Still in Love with You”. The playing was spot on and singer Tony Monk has a very special rock voice. I spent ten minutes working out that his voice sounded a lot like Music Riot favourite Aynsley Lister, and that’s a very good thing in my book. Anyway, on to Space Elevator. Their debut album was reviewed here last year and this is the first chance we’ve had to get out and see them live. For the Garage gig (the first of their summer mini-tour) the line-up was reduced to a four-piece, the band playing without the benefit of Elliott Ware’s keyboards. The songs from the album all fit in somewhere between good and very good and the standard of musicianship is as high as you would expect from seasoned session players but with all due respect to David Young, Brian Greene and Chas Maguire, it still needs another ingredient to make it special; to get upfront and sell that expertise and hard work to the audience. The not-so-secret weapon for Space Elevator is The Duchess and it’s fair to say she’s impossible to ignore. The voice is big and she commands stage centre with hyperactive moves and catsuit set to stun. The set was basically a runthrough of the album with the occasional unexpected ingredient thrown in to spice up the mix, and it held together really well as a live set, opening, as the album did, with “Elevator”. The singles “I Will Find You”, “Loneliness of Love” and “Oils and Bubbles” were interspersed with “Ordinary Day”, “We Are the Losers” (which are definite singles material as well), “Little White Lies” “More Than Enough”, “Really Don’t Care” and “We Can Fly” to showcase almost all of the album. 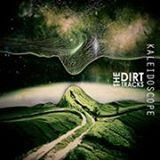 Two non-album songs, “Take the Pain” and “Far Away” were slotted in before the two sides of the current single and we even got a cheeky cover. I wouldn’t have predicted that “Day Tripper” would be a Space Elevator cover but the band made it their own with a truncated riff and a harder edge that worked particularly well. And not forgetting an encore of “Love in an Elevator” to round things off. There were a couple of technical glitches, but you have to expect that on the first night of a tour and it was still a banging set. The songs work well live, the rhythm section was rock solid and David and The Duchess have all the melodies you could ever need. Throw in that extra bit of onstage exhibitionism and you’ve got the perfect rock package. 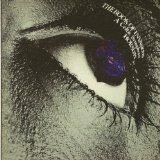 When we decided to release the Space Elevator album on vinyl I actually had to walk up the road to the local Oxfam to buy a couple of vinyl albums just to reacquaint myself with the size of the lyrics and general artwork. This led to a fervent re-buying of most of my old vinyl all over again once I purchased a new deck. It is all (except for a couple) second hand, either from shops or e-bay. My top five vinyl purchases so far are not necessarily my favourite five albums but the five that for some reason have given me most joy since purchasing them again in this format. 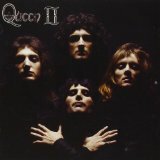 Queen 2-- I was bought this for Christmas by my Gran when I was 12. It was October and she was down visiting from Glasgow. I ran home and played it before she came home on the bus, watching for her coming down the road. Once she was home that was the record gone for two whole months until Christmas. No possible way of hearing it. Tell that to a twelve year old nowadays!! It’s their best cover, inside and out! 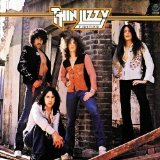 Fighting- Thin Lizzy -- I bought this album when on holiday in Bournemouth when I was 14. It had the U.S. building site cover which is more tasteful than the “weaponry” of the UK version. Same cover this time. Took me right back…brilliant. 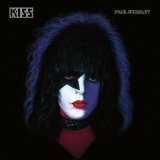 Paul Stanley -- My favourite Kiss solo from 1978 was always Paul’s. I picked this up from a guy in New York on e-bay in great nick with the original poster from that awful jigsaw poster they did, and with the specific Paul merchandise sheet. 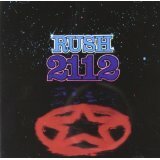 2112-Rush -- Back in the days of vinyl, I had every Rush album and treasured them. Signals was my favourite, but bizarrely I never owned 2112 on vinyl. I had a cassette. It’s great opening up the gatefold sleeve and seeing the album as it should be. I also forgot how good side 2 is! 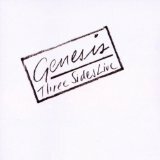 T hree Sides Live-Genesis -- I got into Genesis quite late and this was the first album I bought. I recently purchased it in mint condition in a shop for £4.00 It sounds absolutely superb!! The first time I saw Federal Charm, they were supporting Southside Johnny (I know, you’re shocked that I was at a Southside Johnny gig) in Bury St Edmunds six months ago. I was gobsmacked on that night by their playing and confidence but I wanted to see the band play live again before writing a review. Since then, the band have released their first album (and very good it is too) and they’ve been playing shows across the UK. 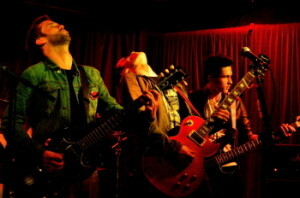 The current tour is a blues/rock package with Laurence Jones and Mitch Laddie. I’d love to tell you about Laurence and Mitch, but I could only stay for the Federal Charm set; next time, guys. Federal Charm are Nick Bowden (vocals/guitar), Paul Bowe (guitar), L D Morawski (bass) and Danny Rigg (drums) and they’re from Stockport. It’s pretty much the standard rock band line-up with the added bonus that the quality of Nick Bowden’s playing allows the band to drop in a bit of twin lead guitar work to the mix. The relatively short set focuses mainly on the album, ripping through the big riffs of “I’m not Gonna Beg”, “There’s a Light”, “No Money Down”, and “Tell your Friends” before slowing things down with their stunning version of “Reconsider”, giving Paul Bowe the chance to let rip with blues, rock, and funk/rock solos. So how do you follow the big showpiece song? You speed things up and get some audience participation as well, and if they don’t know your songs well enough then you play something that they do know, the Golden Earring classic, “Radar Love” and it works perfectly as a lead-in to the dirty riff of “Reaction”. Throw in a couple of non-album songs as well and you’ve got a perfectly-paced set of twenty-first century blues rock. 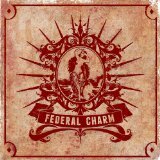 Federal Charm have been together less than three years, but they play with the assurance of seasoned and honed rockers. The rhythm section is rock solid as the band move through changes in tempo and style within songs (particularly “Reconsider”) and Nick Bowden and Paul Bowe are charismatic and energetic frontmen. The two guitars are used together in different ways ranging from straightforward rhythm or riff and lead guitar to more complicated twin guitar stylings with nods to The Stones and Thin Lizzy. It’s not difficult to pick out the influences, but they’re put together with such style that the end result is something that’s pure Federal Charm. As the opening band in a three band package in London on a Tuesday night, you might expect to struggle, but Federal Charm ripped into their set as if they were playing a sellout gig at the O2, and that attitude made them a lot of friends on the night. There are a couple of things that make this band stand out. The first is that Paul Bowe is a very, very good player and he always looks like he’s having the best time ever. The other is that when you watch Nick Bowden sing, you have to ask where that incredible rock voice comes from, and he doesn’t even make it look difficult. If you’re into blues, rock, great guitar playing, great singing or any combination of the above, you really should get out and see these guys at any of these gigs. I have one rule of reviewing that I never break. I never read a review of something I’m about to review myself. It’s a good discipline because I know that I’m not being influenced by anyone else’s opinion. It’s been really difficult with this album because the press releases and Facebook posts I’ve seen have all made me realise that it needs hard work to do this justice because all of the obvious comparisons have already been made and I’m not going to repeat them. This is a very, very good debut album from a band who have everything in the locker; strong songs, great playing and outstanding vocals all combine to create a very listenable and accessible funky rock album from this Manchester band. Federal Charm are Nick Bowden (vocals and guitar), Paul Bowe (guitar), Danny Rigg (drums) and L.D. Morawsk (bass), they’ve been together for about two years and this, their first album, features eleven original songs plus a cover of the Lowell Fulson classic “Reconsider Baby” (listed here as “Reconsider”). The band draw their inspiration from the classic British blues-rock period of the early 70s and play with the assurance and verve of a much more seasoned outfit. There are obvious influences which I won’t bore you with, but you can also hear touches of Wishbone Ash, Thin Lizzy and the Stones in their twin guitar arrangements, which are under-pinned by powerful drumming and basslines which are more melodic than you might expect from a rock band. Throw in an occasional touch of Hammond or piano, and you’ve got a classic rock cocktail. And then there’s the vocals; Nick Bowden has a superb rock voice and he’s equally at ease with the all-out rockers and the slow bluesier material. The album kicks off with two riff-driven rockers (“I Gotta Give it Up” and “I’m Not Gonna Beg”) before slinking into a funkier groove with “No Money Down” and the slow blues of “Somebody Help Me”. “Reaction” takes the pedal back to the metal before a keyboard swell eases into the brooding menace of “The Stray”. “There’s a Light” and “Tell Your Friends” are funky strutting riff-rockers leading to another tempo change for the superb rendition of “Reconsider Baby”. It’s a brave choice given the list of blues players who have already covered the song (Eric Clapton and Joe Bonamassa off the top of my head) but it works because it’s played at a slower tempo and the emphasis is on the vocal rather than the guitars. “Come on Down” is powered by another funky riff, while the final two songs “Any Other Day” and “Too Blind to See” nod in the direction of the Stones, particularly the intros. As a debut album, this is a great snapshot of Federal Charm. They wear their influences proudly and they move effortlessly from slow blues to balls-out rockers. The track sequence works perfectly as the album starts and finishes on big rock songs and the slower songs create a contrast to the more raucous rockers. It’s full of melodic invention and great playing from all four members and the quality of the songs is excellent from start to finish. While I thoroughly recommend the album, I have to say that you really should make the effort to see the band live to get maximum bang for your buck; they play with a self-assurance that never steps over the line into arrogance and Nick Bowden’s voice is superb live. They’re playing all over the country in next few months to promote the album, so get yourself out there and see them. Out on Monday July 1 on Mystic Records (MYSCD213).